The 2011 Autosport International show hosts the debut of several new race and high-performance cars. We'll be there. Forget Detroit, Birmingham is where it's at if you're after the very latest cars. Road, sports and racing cars that is, at the 2011 Autosport International Show. If you like your race, rally and high performance models then it's well worth a visit up to Brum on the 13-16 January. This year McLaren is showing off some of its history-making championship Formula One and GT cars; Lotus launches its new F1 car; and a host of specialist manufacturers will exhibit new models and developments of existing machines. UK manufacturer Ariel celebrates ten years of existence at Autosport this year with a new one-of-ten special edition Atom. The Ariel Atom Mugen takes the usual Ariel idea of stripped to the bones basics and adds more power. Mugen power specifically, the Ariel's 2.0-litre Honda K20 Z Type-R engine getting a boost from 245- to 270bhp. Just ten will be built; expect them to be sold as quickly as they will be on the road. Other lightweight high performance machines include the Tiger Aviator, which mixes classic roadster design with a rather unconventional wedge shape. It might look a bit odd, but expect its performance to be extraordinary. Radical will show its new SR3 SL at Autosport, developments including a new 2.0-litre turbocharged engine from Ford. With EU Amll Series Type Approval, this is about as close to a Le Mans car as you can buy for the road. It'll be unveiled in Birmingham alongside Radical's SR3 RS and SR8 RX. McLaren will exhibit its first road car since the mighty F1 at the Autosport. The MP4-12C will star at the show, alongside other cars to underline its pedigree. They include Ayrton Senna's championship winning MP4/4 - a Gordon Murray designed car that came first and second in ten races of the 1988 season. It won Senna his first championship, with either Prost or Senna's MP4/4 leading 1,004 of the total 1,031 laps driven in 1988. The word 'dominant' barely covers it. Joining the MP4/4 is the MP4/23, Lewis Hamilton's championship winning car, Mika Hakkinen's MP4-13's 1998 championship winning car, Alain Prost's 1989 MP4/5 which, you've guessed it, won him the championship. Others of note include the M7C, M24B, MP4/2, M23 and McLaren's Le Mans winning F1 GTR and Can-Am M8D. McLarens don't excite you? Then Red Bull's 2010 championship winning RB6 is on show, as is Mercedes-Benz GP's MGP W01, a Williams FW32, the Toro Rosso STR5 and Lotus' new 2011 contender. Circuit racing isn't for everyone though, and Autosport International caters for the mud and flask brigade too. The 2011 show will feature a rally display covering 30 years of the WRC. If Integrales and 205 T16s, Subarus, Evos, 6R4s, Quattros and the like are more your thing then there's plenty on show. It's not only cars, but the people who drive them too. Around the show will be a chance to meet motorsports stars, and watch a few of them at the Fifth Gear Live Action Arena. 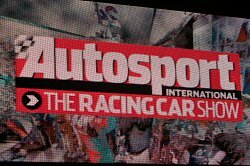 The Autosport International Show is open at the National Exhibition Centre, Birmingham, 13-16 January.